Dr. Ravinder Singh is a board-certified neurologist specializing in the prevention and treatment of neurological diseases, especially stroke, headache and epilepsy. He has extensive research experience in the acute treatment and prevention of stroke. He was part of the initial thrombolytic (clot-busting drugs) trials using TPA for stroke, and has past and current participation in multiple stroke treatment and prevention trials. In addition, Dr. Singh has extensive research experience in the pharmacological treatment of epilepsy. He has participated in clinical trials of many anti-epileptic drugs. Ravinder Singh received his medical degree in 1989 from St. George’s University, School of Medicine, in Grenada, West Indies. He completed his Neurology residency at West LA VA Medical Center/UCLA in Los Angeles, California. In 1994, he became Chief Resident in Neurology, subsequently followed by a VA Fellowship grant in Neuroscience and Traumatic Brain Injuries. During this time, he also became a Clinical Instructor in Neurology at University of California, Los Angeles (UCLA). After completing his training, he became an Assistant Professor of Neuroscience at Charles R. Drew University of Medicine and Science, and Head of the Stroke Center at King-Drew Medical Center, in Los Angeles, California. Dr. Singh has served on the boards of many organizations, including the American Heart Association (AHA), at the local, state and national level, and the Stroke Association of Southern California. He has served as the President of the Los Angeles division of AHA. Early on in his practice of neurology, Dr. Singh recognized the limits of Western medicine and sought to provide a more complete care to his patients. Being a certified stress and wellness consultant, trained by the prestigious Canadian Institute of Stress, he utilizes his knowledge of Western and Eastern medicine, and his studies in stress and wellness medicine to help people achieve greater satisfaction in their lives, and achieve truly long-lasting optimal health, with emphasis on disease prevention. He provides individualized yet systematic solutions that are leading edge, scientifically-based, and proven in the real-world. These very pragmatic and result-oriented solutions and skills are immediately applicable and geared towards high speed success. Dr. Singh has given over 100 presentations on the topics of stress management, stroke, headache and epilepsy to the medical community. He has been an invited lecturer at over 100 hospitals and other related organizations in the US. He is an active member of the American Headache Society and has been the featured speaker at the the regional board meetings for the American Heart Association. He has written his first book, Not Tonight I Have A Headache. 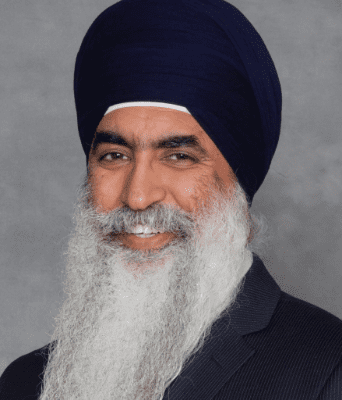 In addition, Dr. Singh has made many media appearances, including mainstream and cable television and radio networks.